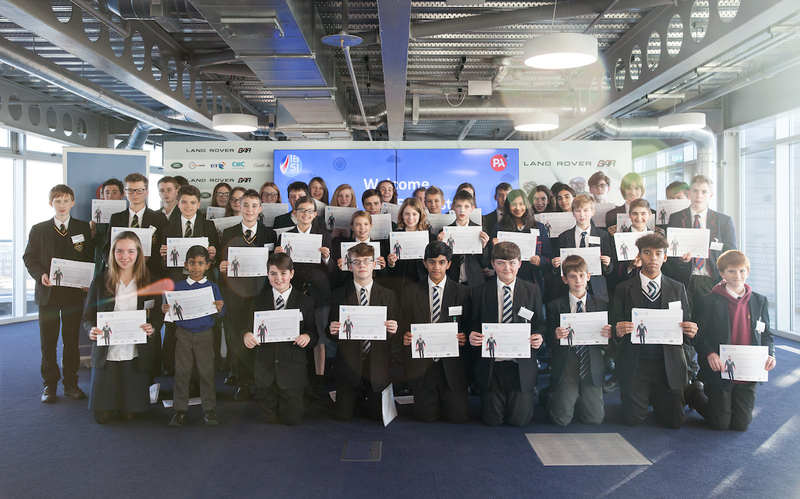 Over 50 young people from seven schools today descended on the Tech Deck and Education Centre at Land Rover BAR’s base in Portsmouth, the British team challenging for the 35th America’s Cup. 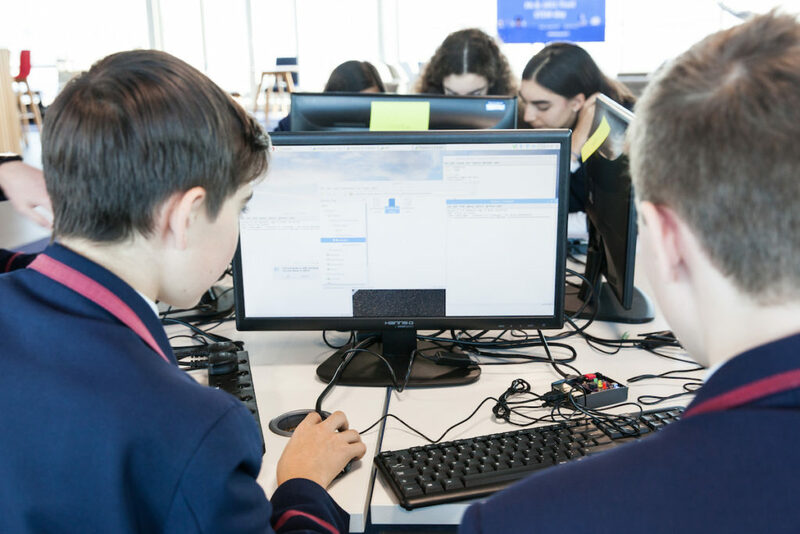 The day was organised by PA Consulting Group and the 1851 Trust, two organisations who are aiming to empower young people in STEM activities, to bring entrants of PA’s Raspberry Pi competition a fun-packed STEM and coding day. The aim of this year’s Raspberry Pi competition is to produce innovations that will improve the lives of people who have conditions that limit their ability to do things the rest of us take for granted. Inventions could range from technology which helps athletes win a medal in the Paralympics, aids visual impairment or learning difficulties, to those which uses music therapy to help mental health. At the start of the day, Edward Hawthorne, one of Land Rover BAR’s design innovators, gave a talk to the students about his job as a systems engineer and how innovation is at the core of everything Land Rover BAR does. Students were then split into two groups. 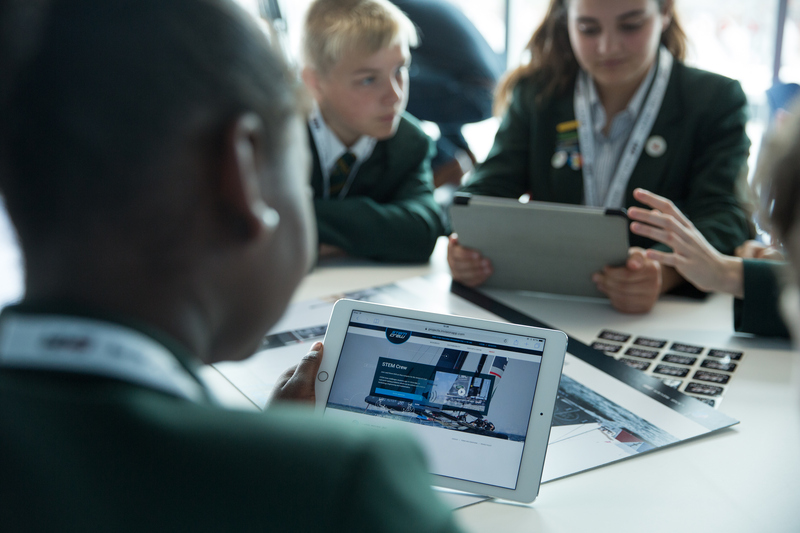 Each group explored the Tech Deck and Education Centre which has been designed to introduce young people to the technology and innovation behind the design and equipment used by Land Rover BAR. They then took part in a coding lesson facilitated by PA which gave students an introduction on the benefits of coding, how to code and tips for their Raspberry Pi competition entries. Anita Chandraker, who leads the digital service team at PA Consulting Group said: “We’re so pleased to be hosting this event with the support of the 1851 Trust and giving our Raspberry Pi competition entrants hands on experience in a unique location. The Teck Deck and Education Centre at Land Rover BAR is the perfect place for students to see technology, engineering and coding come to life and empower young people to take up STEM subjects. 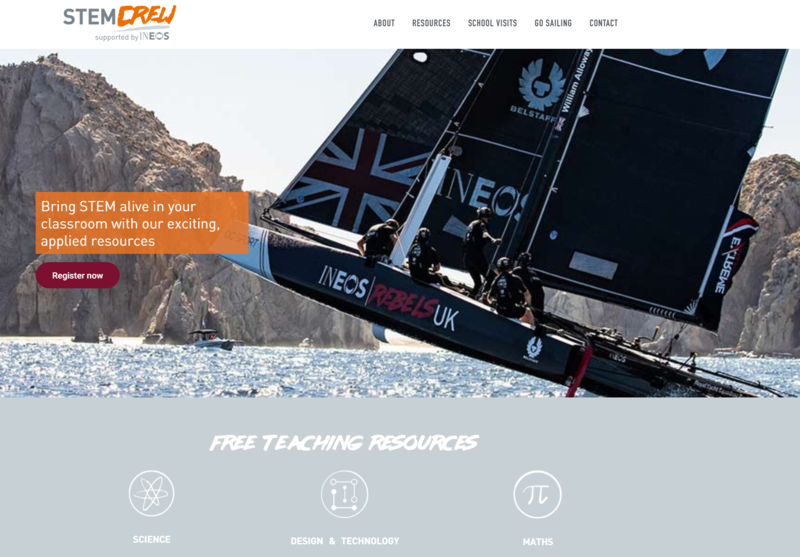 The Trust recently launched BT STEM Crew, a free digital resource designed to engage both girls and boys aged 11-16 in biology, physics, maths and design & technology. The programme uses the innovation and challenges experienced at Land Rover BAR to explore the STEM subjects. The 1851 Trust was launched in October 2014 as the Official Charity of Land Rover BAR, the British team challenging for the America’s Cup – the world’s oldest sporting trophy, which left these shores in 1851 and one which Britain has never won. The Trust’s Patrons are Sir Ben Ainslie and HRH the Duchess of Cambridge, and runs sailing and education programmes to enable, engage and encourage young people to broaden their horizons, take up new opportunities and act sustainably. PA first launched the Raspberry Pi competition in 2012 in response to a fall in programming skills and as a mechanism to tackle the growing talent gap in programming and coding. The Raspberry Pi was selected as it is a low-cost computer, launched with the intention of promoting the teaching of basic computer science in schools and stimulating interest in the IT industry.